Noelle Bartley is currently an Intern at Experience Columbus and is graduating from The Ohio State University with a bachelors in Hospitality Management in Spring 2019. Noelle started out her college education in Austin, Texas but could not stay away from her hometown Columbus - which she sees as the best city in the U.S.! 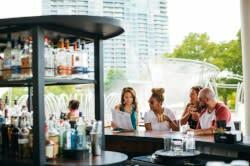 As a continuous learner, Noelle makes it her mission to educate herself and others on all that Columbus has to offer. Her plans after college are to lead and motivate passionate groups whose goals are to better themselves and their communities. 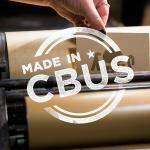 New Stops on the Made in Cbus Trail!